The duality of the Self-Respect Movement emerged very clearly during this phase. 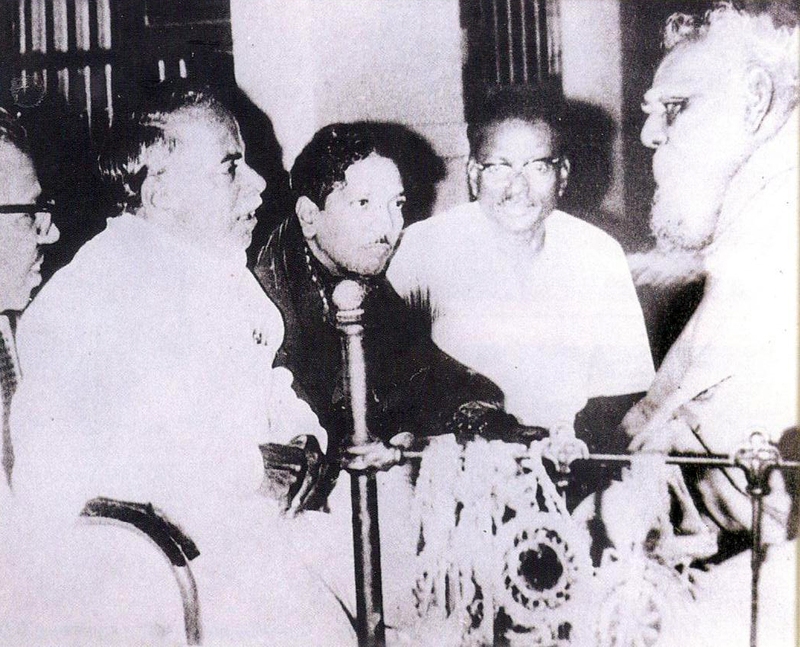 While Periyar and Annadurai were in total agreement in the diagnosis of the social milieu, their prognoses were quite opposite: For Periyar, language was an instrument for communication; for Annadurai, language was an organic socio-cultural oeuvre that lends a distinct identity and a sense of pride and belonging to the people. (13). What can be learned from a detailed biography of a figure like Karunanidhi? For myself the opportunity such a piece of scholarship permits is to significantly broaden my own understanding of the nuances of philosophy, policy, values, and institutions through which the political developments of a relatively unfamiliar region of the world have developed. Such a biography allows the reader to gain a vivid experience of the issues and passions that motivated people, both intellectuals and laborers, in the 1920s, the 1960s, and the 1990s. And it gives a bit of insight into the complicated question of how talented individuals develop into impactful, committed, and dedicated leaders and thinkers. « Safety culture or safety behavior?